I’ve had such a great time preparing for Easter with Breakstone’s sour cream and Better Homes and Gardens. The tablescape is ready, the Pepper Crusted Pork Loin with Sour Cream and Onion Sauce has been tried and tested and we have our normal Easter traditions planned out for the weekend. When I was little, I remember my parents having a big group of people from our church out to our farm on Easter morning for an outdoor sunrise service. 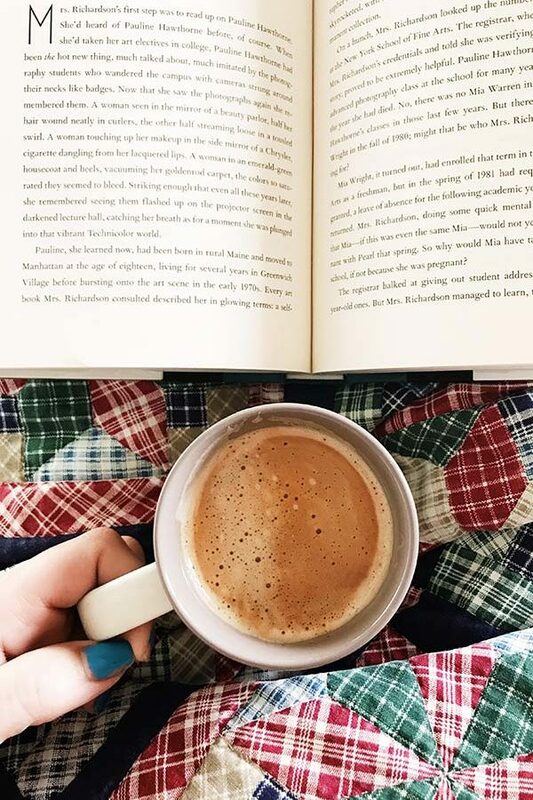 I’m sure I complained about getting up at the crack of dawn back then, but looking back, it seems like a perfect way to start Easter Sunday, don’t you think? However you choose to spend your Easter holiday, I hope you will get to spend it with friends and family. Check out some of the delicious recipes over at the Breakstone’s sour cream site and don’t forget to enter to win the fabulous $2500 Grand Prize giveaway! I’ve been talking all about the main dish but have failed to mention what side dish I think we are going to try. I noticed this recipe for Breakstone’s Creamy Potatoes over on their site and it will definitely be making an appearance on our Easter dinner table! 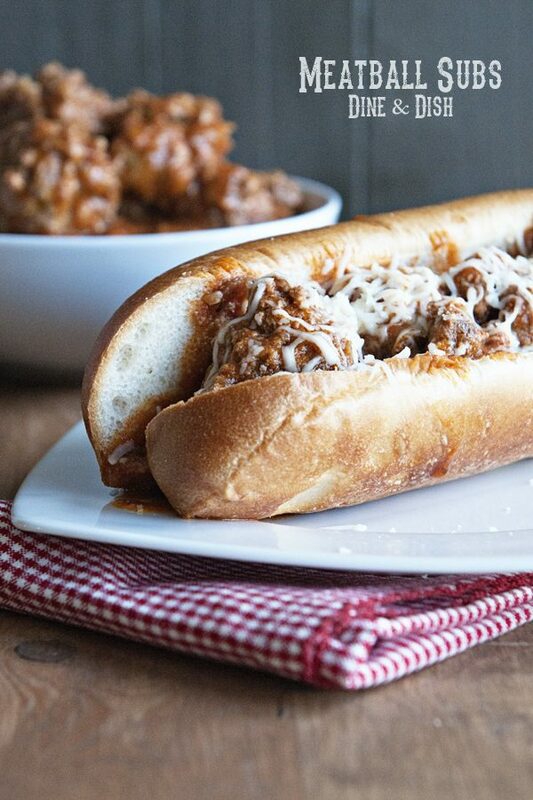 Click on over for the recipe! Just yesterday someone was asking me why I purchased more potatoes than what we needed for dinner… Now I need to show them this recipe. I mean, I really have no excuse to not make this. Looks wonderful! How would this work with just boneless pork chops or even pork steaks for that matter? Has anyone tried it? Hi Vern – I think it would work perfectly… the flavor would be the same. It is an easily adaptable recipe, I imagine! This is an ideal side dish and with potatoes, melted cheese and sour cream, you can’t go wrong! You can’t go wrong with cheesy potatoes! These look SOOO good Kristen!! I was just trying to decide on what potatoes to fix with our Easter dinner! This is going to be the perfect side dish for our Easter dinner! 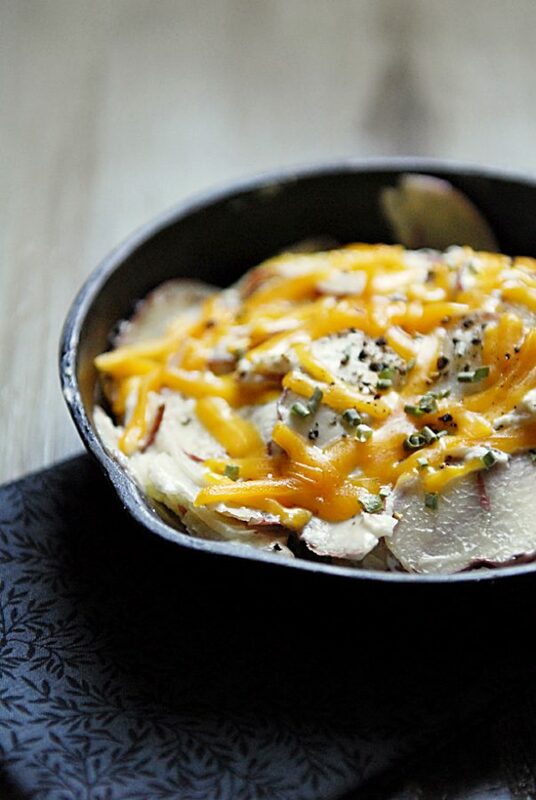 Potatoes, sour cream, cheese…what could be better? Potatoes and sour cream were made for each other – and that’s not just my Ukrainian half talking. What a delicious side dish, Kristen! I bet it would go perfectly with a nice juicy t-bone too. Mmmmm. This sounds so very, very good. Yummy!! I love sour cream. period. Potatoes any way, shape or form are always good by me, plus sour cream … yum! Just hand me a spoon and I could eat that entire delectable skillet in about one minute. That looks superb! Great recipe for potatoes. I can’t wait to try it. That photo is gorgeous! I love the lighting on it. I’ve been thinking of serving scalloped potatoes with the pork loin and corn casserole I already have planned for Easter dinner. This recipe sounds delicious! Thanks for sharing. I have a soft spot for scalloped potatoes. It was a dish my late-Dad used to make for me all the time when I was a child. I loved the dish so much that there were nights he let me eat a big bowl of scalloped potatoes — and nothing else. Thanks for letting me re-live that tasty treat. 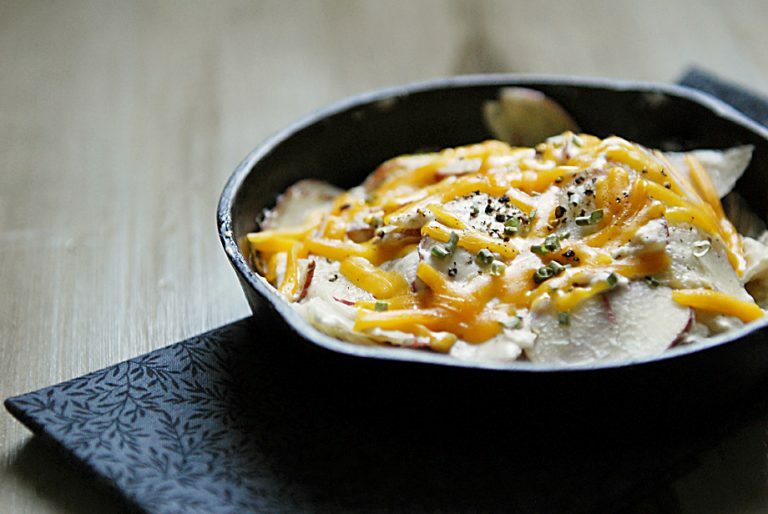 Creamy potatoes sound pretty delectable right about now!